"Enjoy radiant, youthful skin again with our potent blend of ingredients, professionally formulated using the highest quality Vitamin C, E, and Hyaluronic Acid available. Forget the facelift, lasers, and chemical peels! Vitamin C has been shown to be just as effective at reversing the effects of time and environmental damage to the skin. Notice brighter, smoother skin after your first use of our Vitamin C Serum. As the serum penetrates deep into your skin, you can feel confident knowing you are reversing skin aging and preventing further damage at the same time. You deserve to have young, beautiful skin at any age, and now you can! We use only the best, natural plant-based ingredients available, with no parabens, no alcohol, and no animal testing. Made in the USA." As I've mentioned before in my last Vitamin C Serum review, all of these that I've used and wrote about, all give the same benefits to brighten and improve your skin and its texture. The Vitamin C Serum by Amara Organics meets all of its claims, I've noticed no difference in benefits of using this serum compare to my other Vitamin C serums. In terms of product texture and consistency, it is similar to the other serums but there's no color or citrus scent to the Amara Organics serum. I'm assuming it's cause this serum contains a concentrated base of pure vegan hyaluronic acid. Amara Organics sells their serum per 1 oz. fl for $19.95 (U.S.D. before taxes and shipping). 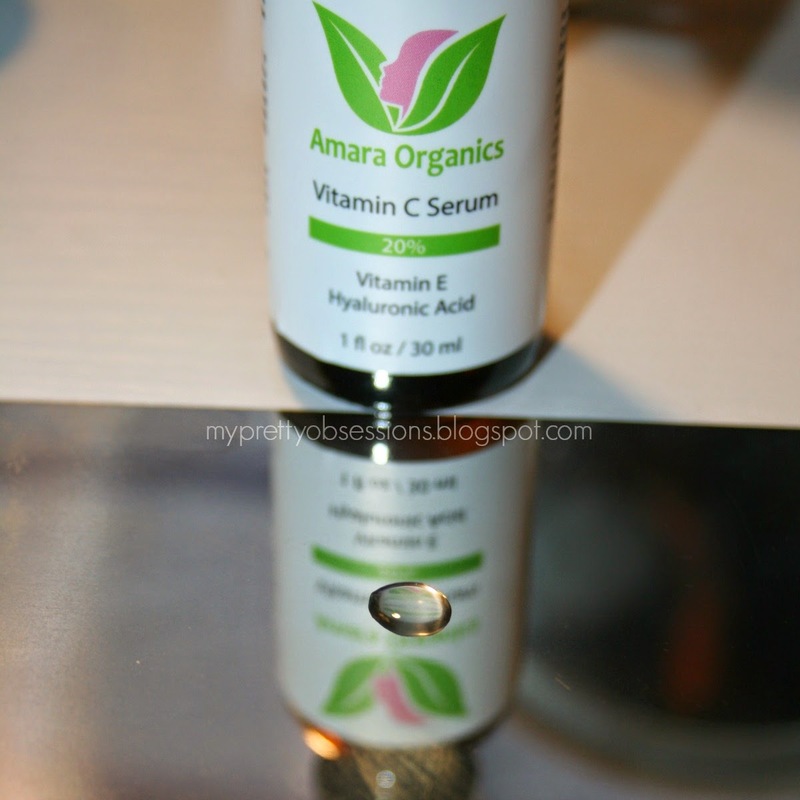 You can purchase the Vitamin C Serum from Amara Organics here. 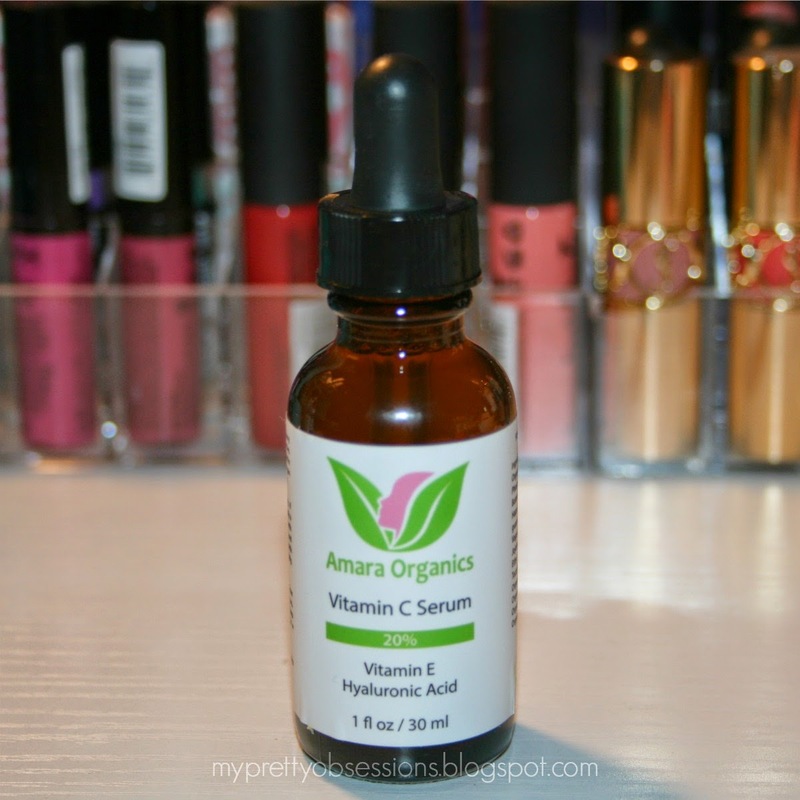 If you're a fan of organic beauty products and are looking to incorporate a Vitamin C Serum into your skincare routine, I suggest trying the Vitamin C Serum by Amara Organics!